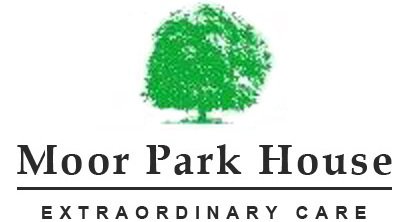 At Moor Park House we offer residential care for older people on the ground and second floor. We provide quality care that is individualised for each resident. Our team of Senior Carers and Care Assistants will work with you to complete a plan of care that is personalised and individual to meet your own needs and requirements 24 hours a day, reviewing your needs throughout your stay at Moor Park House. Before you come and stay with us, our staff will meet with you to get to know you. You will be shown around the individual en-suite rooms as well as the communal parts of the home and gardens. We pride ourselves in offering truly personalised care, care that is planned and reviewed with our residents. Our Registered Nurse-led care team delivers general nursing care provision for residents here at Moor Park House. We are accredited by the Gold Standards Framework as a provider for end of life care. Residents take a lead in defining their choices and preferences around care delivery, whilst the nurses and senior carers facilitate this through the development of an individualised plan of care. Each of our rooms has an en-suite toilet and bath or shower. All rooms have a kitchenette area so that you can make drinks and snacks at your leisure. We have daily housekeeping and laundry services and also offer a seven day Activities programme. This is advertised weekly and provides a variety of indoor and outdoor activities. Trips out in our own mini-bus or our estate car to local places of interest are regularly organised. All activities are entirely optional. We also arrange professional consultations and treatments, for example with a doctor, dentist or optician, with residents and patients being escorted and accompanied on these visits. During your assessment a member of the care team will ask about your dietary requirements and social interests as part of the care planning process. Residents requiring assistance with washing, dressing, bathing and taking medication will be provided with this support. We will work with you to promote your independence, respect your personal choice, preserve your dignity and promote life enrichment.